LASIK Refractive Procedure - $4706.00 Wavefront-Optimized® LASIK treats nearsightedness, farsightedness and astigmatism (low-order aberrations) while at the same time accounting for the unique imperfections or attributes of each person’s visual system (high-order aberrations.) Most experts agree that in general, Wavefront LASIK provides the patient with a better visual result and a better quality of vision than the conventional (standard or traditional) LASIK. Side effects like dryness, glare, halos around lights and other quality of vision symptoms can accompany the healing process. Most of these symptoms resolve over time; however, in some cases these quality of vision issues can be permanent. Night vision is where a patient usually benefits the most from Wavefront LASIK. 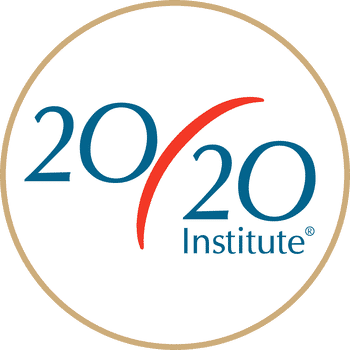 - Safe LASIK has been safely performed for almost 30 years and, at 20/20 Institute, our industry-leading surgeons will also ensure your procedure is performed at the highest standards. - Results LASIK at 20/20 Institute only takes five to 15 minutes to complete in both eyes – and you'll experience noticeably improved vision immediately following surgery.